Drivers are expected to refrain from the use of alcohol and drugs, but these days, drivers of trucks take these to keep them active. These have had many repercussions with an increased rate of truck accidents. 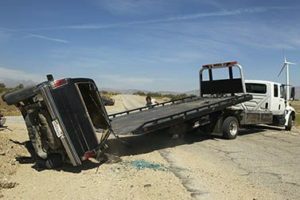 If you have been involved in a truck accident caused by drunk driving and negligence on the part of the trucking company, you have every right to file a lawsuit against erring parties. If such an accident happened in Garden Grove or its environments and you are looking for an experienced truck accident attorney in Garden Grove to take up your case, we at Rawa Law Group are happy to oblige and be your legal representatives. Rawa Law Grove is a five-star law firm with top-of-the-crop personal injury lawyers. Our lawyers have over 50 years of collective and ready to put it to good use to help you seek compensation for the pain and suffering you suffered from the truck accident. We have a deep feeling of commitment to accident victims and injured persons which are why this law establishment was started. In our over a decade of dedicated man-hours and service to seek settlement and closure for our Garden Grove truck accident victims, we have won settlements totaling hundreds of millions for our clients.